You may have heard that if you overdo it with some medications, you may end up damaging your liver. This is the organ that helps to get the nutrients from the food you eat and eliminate toxins from your body. A new review is suggesting that there are dietary supplements and herbal remedies that are harming the liver. Some of these can even be bought over-the-counter at health or drug stores. Some are even saying that green tea extract does liver damage, really? Can Green Tea Extract Cause Liver Damage? There is building evidence that green tea extract, which is popular in the weight loss and body building community, may cause liver damage if taken in high doses. Catechins are the term used for the class of compounds listed as active ingredients in green tea. They deplete some protective cell molecules like glutathione, meant to protect us from injury. In susceptible people, high doses of green tea extract can lead to liver damage. Epigallocatechin-3-gallate is one of the suspected catechins. There are research findings that show high doses of EGCG may cause toxicity to the kidneys, liver and intestines. After receiving large amounts of EGCG, most patients had higher ALT serum and bilirubin levels which test for liver damage. Most of these cases returned to normal after coming off the high EGCG doses. The exact amount that is safe isn’t a precise science. Most of the cases of hepatotoxicity tend to be idiosyncratic. This means in one person it may cause toxicity, while another person may be unaffected. The body uses and deals with these compounds differently. In some cases, this is determined by genetics and in others by what you are drinking and eating. Should you be concerned every time you have some tea? Probably not. Green tea is very safe. It’s unusual for hepatotoxicity to happen with normal consumption. It’s when high concentrations are taken that problems crop up. One to two cups a day shouldn’t cause you to worry. If you are drinking upwards of four or five cups a day, you may want to cut back. If you are concerned, it’s best you speak with your doctor and let them know the amount, brands and type of tea you’re drinking. If you’re drinking concentrated amounts or matcha, it’s also good to talk to your doctor. In regard to supplements, you should err on the safe side. Even natural ones can have sideeffects. Speaking to your doctor before starting supplements as well. You may have an underlying problem that gets agitated by the supplement. If you are at a higher risk for developing liver disease, skip supplements (which can have as much as 50 times the polyphenols as tea) and just sip the tea. High temperatures are used to steam green tea leaves. This makes it possible to maintain and extract polyphenols, the important molecules responsible for the health benefits it provides. When consumed in excess, they may cause issues in sensitive people or those on medications. There are those who will feel irritated, confused or restless. Some may even suffer sleep disorders. 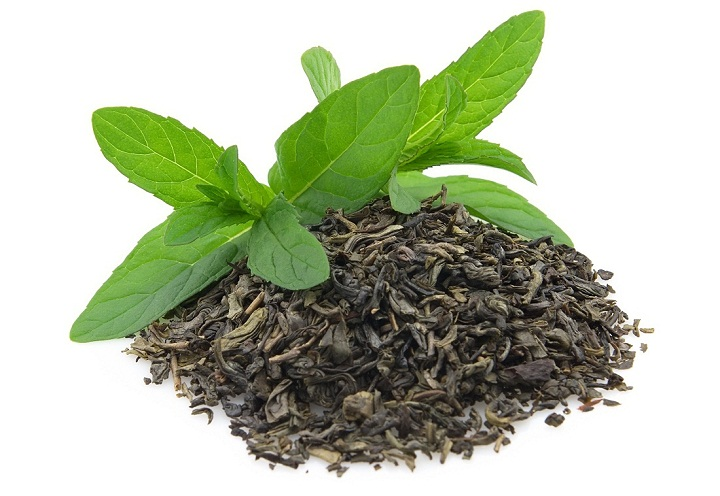 There have been studies showing that caffeine and tannins in green tea can cause allergic reactions. Excess amounts may cause rashes and itching. It’s best to stop taking it and seek a doctor if this occurs. There have been studies showing that heavy amounts of the caffeine found in green tea can increase toxic levels in your body. This may give some people a stomach ache, diarrhea, nausea, constipation or vomiting. Some may lose their appetite or have less frequent urination. The National Center for Complementary and Alternative Medicine states green tea extract can harm the kidneys. Sometimes it may cause heart palpitations and some people have had thyroid problems from it. Those with diabetes, anemia, glaucoma, and osteoporosis should talk to their doctor before taking green tea or extract. Nursing or pregnant mothers should avoid green tea and extract because of tannic acid, catechins and caffeine. This is especially true during the early stages of pregnancy. Don’t let young children consume it; the caffeine may over stimulate them. Those who are on medications should avoid green tea extract unless a doctor specifically suggests it. Green tea extract may cause problems with iron intake, so it’s not recommended with meals. There are toxic substances such as pyrrolizidine alkaloids that can cause liver problems. Sometimes fatally and for that reason it is no longer sold in edible form in the U.S. You should even use the ointments and creams with caution as the alkaloids can build in the body. Made from the Piper methysticum roots, kava is a known ceremonial drink in Oceania and sometimes sold for insomnia and anxiety. Because of documented liver damage, it is restricted in Canada, France, Germany, Switzerland and Britain. Native Americans traditionally used skullcap to treat insomnia, stress and anxiety. It is thought to cause liver trouble. It is often mixed with other herbs so it is unclear where the problems come from. An extract from the creosote bush, it has been used to help anything from a rash to cancer. It is suspected of causing liverdamage. It may be possible that it is an allergic or immune response, but in some cases, it has been bad enough to warrant emergency transplant. Can Diverticulitis Patients Eat Foods with Seeds?